Editor’s note: I’m not the author of this, but I really don’t think anyone minds it being reposted here. I took the liberty of linking some relevant material from older MAXFAQs posts, Al M’s blog, the Oregonian, and other sources to support the claims made. Over the past several years, TriMet’s top management has repeatedly used budget woes as their excuse for raising fares and reducing transit service to this community. 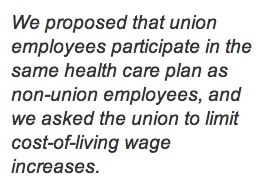 Then, they point the finger at the union workforce, blaming the costs of health benefits for workers and retirees. We believe that claim to be false; but, it is difficult to counter an agency spending over $500,000 each year on PR to spread its version of the truth. 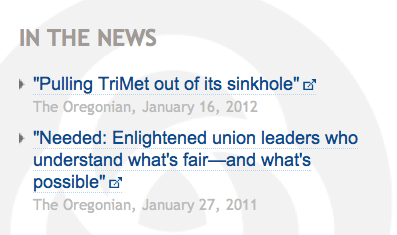 Now, it’s time you heard the truth from TriMet’s workers. We are the people who keep the system running. We watch how this bureaucratic agency works from the inside, we know where its skeletons are buried, and we are saddened by how dysfunctional it has become. Here are the serious consequences of that dysfunction. 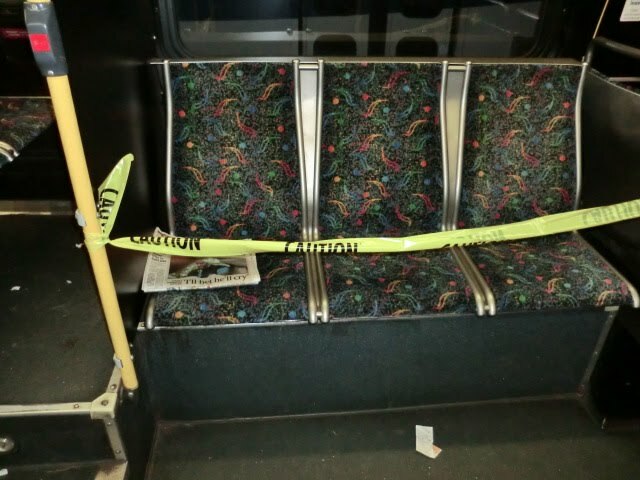 TRIMET’S DYSFUNCTION PUTS SAFETY AT RISK. It’s not just fatigued drivers, it’s also buying new buses with enormous blind spots while forcing train operators to frequently drive without any side vision at all. It’s a bus dispatch system programmed to cut off calls after two minutes, even when it’s a driver reporting an angry man with a gun. It’s buses and rail cars so filthy that they’re making operators and passengers sick. And those are just a few of the many serious safety issues we deal with daily. 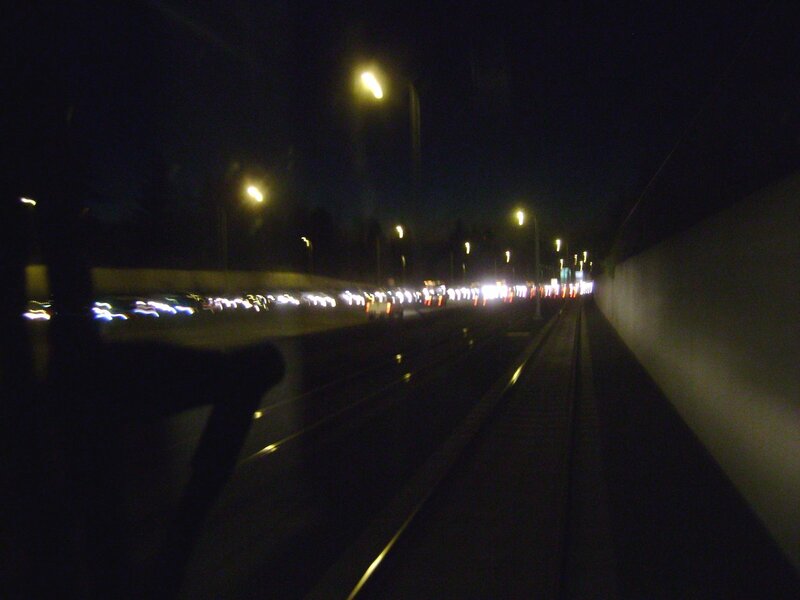 TRIMET’S DYSFUNCTION PUTS SERVICE QUALITY AT RISK. It’s not just the reduced runs, it’s also forcing us to issue fare evasion citations when we know the fare machines are down. It’s making schedules so tight it’s impossible to guarantee our passengers will make their connections. It’s reducing the number of bus shelters in neighborhoods where we serve the highest number of elderly and disabled passengers. 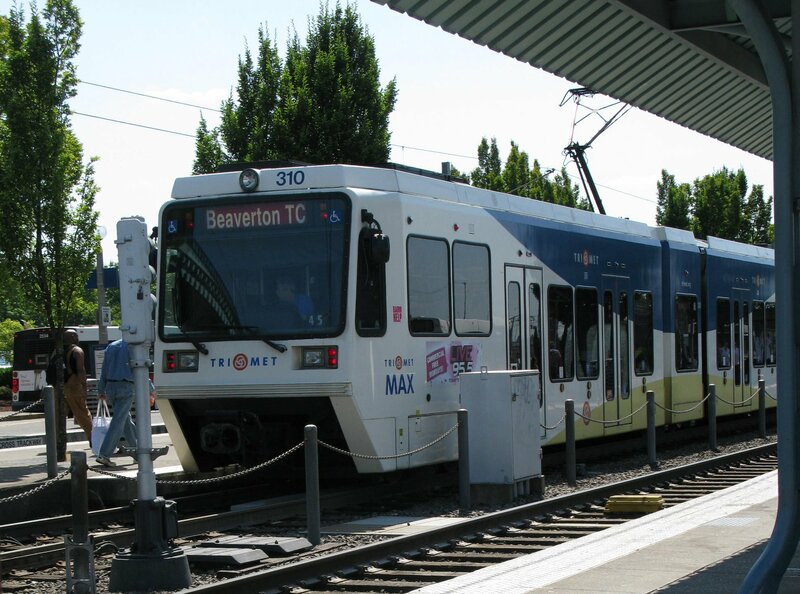 TRIMET’S DYSFUNCTION PUTS PUBLIC FUNDS AT RISK. It’s not just spending millions on new furniture, it’s also signing what the Portland Business Journal calls “the biggest office lease of the year.” It’s spending nearly $2 million dollars giving new buses a “nose job” so they’ll look like trains. It’s having 161 managers being paid a base wage of over $75,000 a year, 55 of whom get over $100,000. This is to supervise a schedule-driven transit system service that can essentially run itself. TRIMET’S DYSFUNCTION PUTS WORKERS’ HEALTH AT RISK. People think our jobs are easy, but the National Institutes of Health and the Department of Labor indicate transit operators become disabled earlier, die younger and get assaulted more than people working in other professions. Studies have called it the most stressful job, resulting in absenteeism, chronic illnesses and high medical costs well into retirement. We have a small pension plan (not PERS), and only a small minority of workers who have retired early with full health coverage. We are public servants. We are not perfect. Some of us are far from perfect. But we are two thousand people whose work lives are dedicated to providing you with the best service we can. Meanwhile, TriMet’s PR department is using your tax money to mislead us all, issue after issue. What we ask is that you consider our viewpoint in the months ahead and evaluate the facts for yourselves. The old style of tickets without a foil strip have not been accepted as valid fare since May, though riders have been able to exchange them at the TriMet Ticket Office downtown in Pioneer Square. 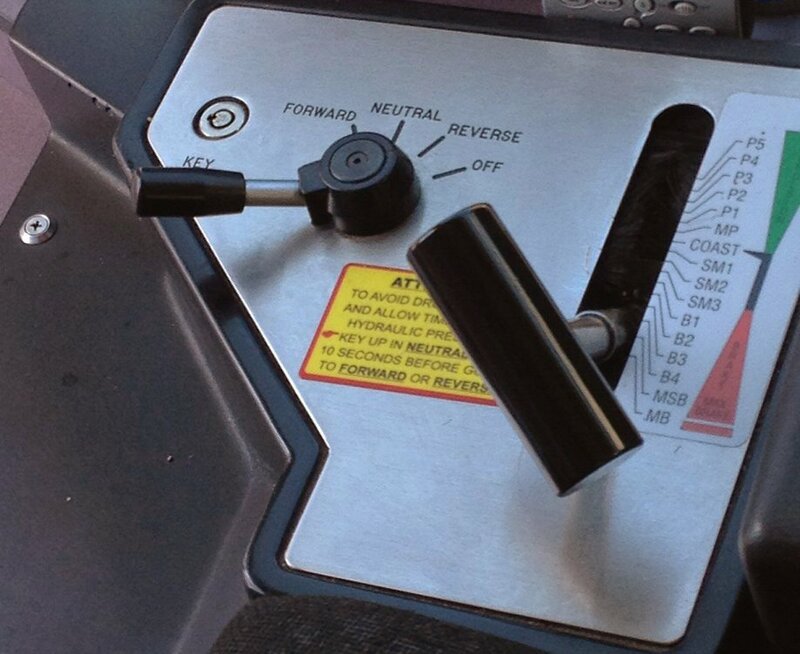 After the elimination of fare zones in September, 1- or 2-zone tickets, even with a foil strip, required a purchase of an upgrade on a bus to use as fare but were not valid on their own. As of January 1, 2013 ALL of those will be invalid and use of them or upgrades will no longer be honored. You won’t be able to exchange them, you won’t be able to use them. There is currently some question over the legality of this, but if you still have books of those tickets kicking around, make every effort to exchange those today or on Monday because after that they will be worthless. The ticket office is located in Pioneer Square near the fountains under the Starbucks, and is open M-F 8:30a-5:30p. The 31st is on a Monday, so regular weekday service will be run for buses, WES, and Streetcar. Service is not free before 8pm. 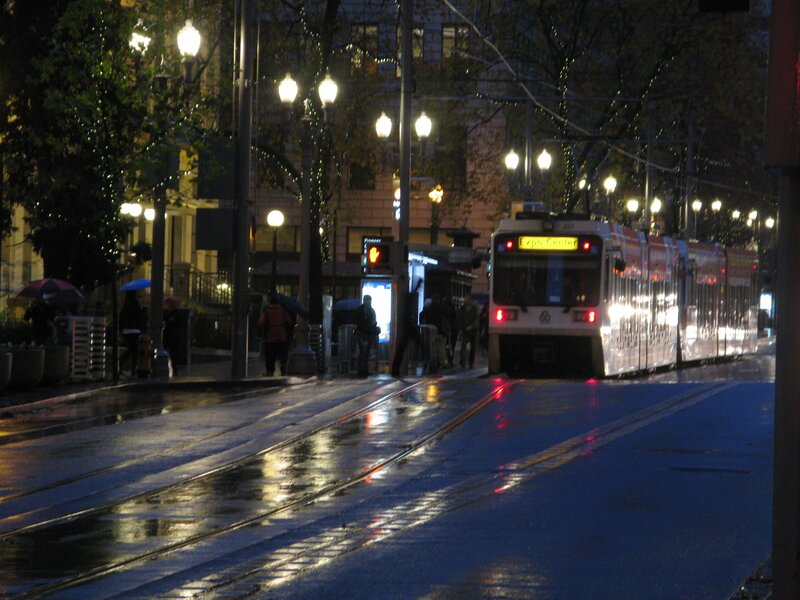 After 8pm, all service is free, and MAX will be running extended service after normal service hours on Blue, Green, and Yellow lines (approximately every 35 minutes until 3:30am). Shuttle buses will be running between Gateway and PDX after normal Red Line service ends. There is no extra late-night bus service. Be safe, be courteous, don’t push your friends in front of trains, and have a great new year!